LIVE WIRES is a concert program of newly composed music for electric guitars and electric cello presented by Arthur Hernandez (composer), Matt Sargent (guitarist and composer), Thomas Schuttenhelm (guitarist and composer), and Jeffrey Krieger (e-cellist). From the frenetic shredding of Arthur Hernandez’s Janus to Matt Sargent’s gently resonating patinas of EBow and custom hand-built transducers, Live Wires offers a vivid, energetic, and evocative musical experience that would be an engaging and compelling presence on any concert series. BOOKING: To schedule a performance, please contact Arthur Hernandez at arthurcomposer@gmail.com. Award-winning performer Jeffrey Krieger, chamber musician, solo recitalist and specialist in the performance of new music, plays the more conventional-looking cello as principal cellist of the Hartford Symphony Orchestra. For two decades he has been among the new generation of solo recitalists who have incorporated technology – the computer and video – as well as an electric cello built by Vermont craftsman Tucker Barrett into performance. Mr. Krieger has also performed as e-cello soloist with the orchestras of Anchorage (Alaska), the Hartford Symphony and the Hartt Symphony. His own interactive video improvisation, VIDEOCELLO, was chosen by American Composers Forum to be included on their touring program, Sonic Circuits. This resulted in a performance of VIDEOCELLO on the Millenium Stage at the Kennedy Center. In 2005, he was commissioned along with composer, Ken Steen and media artist, Gene Gort to create a new work to celebrate the opening of the New Britain Museum of American Art’s new galleries. “Reliquary of Labor”, a parallel media performance for e-cello, percussion, multiple video screens and monitors and sound was premiered in the fall of 2006. Mr. Krieger has recorded for CRI, Vienna Modern Masters, Capstone, Innova and O.O. Discs. His most recent recorded work, Suddenly It’s Evening by Donald Erb on CRI CD 857 has received critical acclaim from the Cleveland Plain Dealer and Fanfare Magazine and can be downloaded on iTunes. Arthur Hernandez is an American composer whose works have been performed by such esteemed music groups and soloists as The Cleveland Orchestra, the Cavani String Quartet, guitarist Jason Vieaux, Jeffrey Krieger, the Alturas Duo, the Hartford Independent Chamber Orchestra (HICO), The Cleveland Youth Wind Symphony, percussionist Bill Solomon, Turn On The Music, The West End String Quartet, and the Cleveland Chamber Symphony, to name a few. His music has been performed at Weill Recital Hall at Carnegie Hall, the Tenri Cultural Institute in New York, the June in Buffalo Music Festival, the Aki Music Festival, the Wintergreen Music Festival, and on National Public Radio. He has given presentations and lectures about his music as well as new music throughout the United States. His music has been described by critics as “adventurous and daring,” “electrically charged,” “assured of lyric line,” “tender, exuberant,” and even, “defiantly weird.” The American composer David Felder said of Hernandez’s music, “his works display formal invention, a strong lyrical gift, and have behind them a tremendous force of energy.” His music is recorded on Capstone and ABLAZE Records. 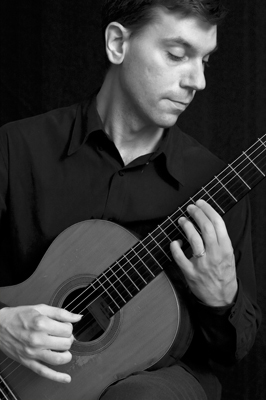 Mr. Hernandez was a recent winner in the ABLAZE Records Composition Competition, and his winning work, Shepherd’s Psalm, fantasy for solo guitar, was released in 2013 on the compilation compact disc Millennial Masters Volume 4. Matt Sargent is a musician based in Buffalo, NY. His music grows out of an appreciation of natural resonances, acoustic spaces, field recording, and outdoor listening. His work has been described as “so simple and so natural, and yet sets up a complex set of interactions.” (Sound Expanse) He is currently a visiting professor of electronic music at Bard College. His music has recently been heard in performances and installations at the Wulf (Los Angeles), the Machine Project (Los Angeles), the Stone (New York), Constellation (Chicago), Hemphill Fine Arts (Washington D.C.), Real Art Ways (Hartford), SEAMUS, and the Yale University Haskins Laboratory, along with artist residencies at the Goldwell Open Air Museum (Rhyolite, NV), Atlantic Center for the Arts, George Washington University, and the University of Nevada Las Vegas. His work is frequently performed by internationally recognized ensembles, including the SEM Ensemble, Ensemble Signal, Talujon Percussion, Talea Ensemble, and the Arditti Quartet. 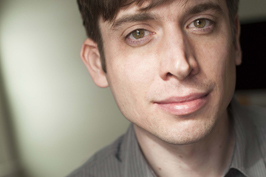 Matt is a Presidential Fellow at SUNY Buffalo, where he is a doctoral candidate in music composition and also works as technical director for the Center for 21st Century Music. He is a graduate of the Hartt School of Music and St. Mary’s College of Maryland. He has studied composition with David Felder, Cort Lippe, Robert Carl, Ingram Marshall, Ken Steen, David Behrman, and David Froom. Thomas Schuttenhelm is an American composer and guitarist whose compositions have a strong conceptual component exhibiting an ‘intentional belatedness’ that gives expression to the post-historical conditions of the 21st century. His music uses embodied programs and celebrates in allusions to the musical, literary, poetic, visual, and theatrical influences that resonate throughout his compositions. His compositions are commonly the result of collaborations with musicians, poets, actors and artists, and the music he writes is often as much ‘about’ the people he collaborates with as it is for them perform. For over a decade he has been performing with soprano Sarah (Hersh) Armstrong and has given collaborative concerts with poet Rafael Oses. 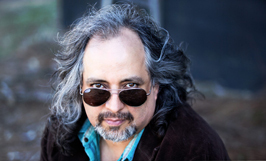 Recently he has collaborated and composed works for the Duo Montagnard, the La’ Ventus Saxophone Quartet, the Kaleidos World Music Duo, and the Leonard-Smith Duo. In addition to his collaborations, he often curates and performs solo recitals. He recently released a recording of all the guitar music of Tom Johnson (August 2012). In addition to composing for some of America’s top soloists and ensembles, he is an experienced performer and scholar. He has given lectures at Yale University (New Haven, CT), Temple University (Philadelphia, PA), Cardiff University (Wales, UK), University of Newcastle (Newcastle-upon-Tyne, UK), University of Sussex (UK), University of London (UK), and at the Mannheim Hochschule for Music. His publications include “The Selected Letters of Michael Tippett”, published by Faber, and he is the contributing author to an edition on Fernando Sor. He has also authored numerous articles and reviews for the journal Soundboard.